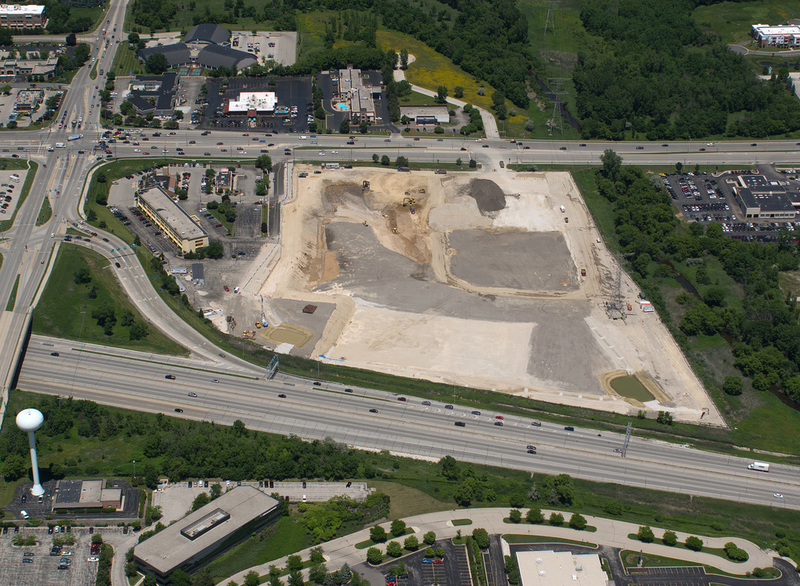 The model for Suburban Towne Centre design is forthcoming in this new mixed- use development, located in the Town of Brookfield, west of the City of Milwaukee. Providing easy parking and freeway access to a pedestrian style mall with specialty shops, fashion boutiques, grocery, eateries, and upscale apartments, the Corners provides a new sense of place in this expanding Waukesha County Town. Kapur & Associates, Inc. has been involved since the initial site selection, advising on site design and building placement, grading and utility solutions, WisDOT coordination, landscape architecture, and LEED qualifications. With extensive grade changes, challenging site access requirements, and the desire to create the next successful mixed-use development, Kapur is excited to provide solutions and make the Corners development project a reality, delivered on-time and on-budget.